always a fish. Or so I’ve been told by numerous swim coaches and have told numerous individuals. Swimming is such a technical sport, that those who swam as kids who an advantage over those who pick up swimming as adults. Take a mediocre at best age group swimmer, keep them out of the water for several years then have them pick up triathlon. That mediocre at best swimmer after 3 months of swimming will be a front of the pack swimmer. An adult who picks up swimming to do triathlons will almost never make it to the front pack. It’s just not going to happen except in the rarest of occasions. What is worse, for the adult who takes up swimming later in life anyway, is that the former swimmer will only have to train about 40% of what the adult does to get faster. To keep things fair though, that mediocre swimmer will probably never be as fast as the person who went on to swim in college. It’s just the way the world works. 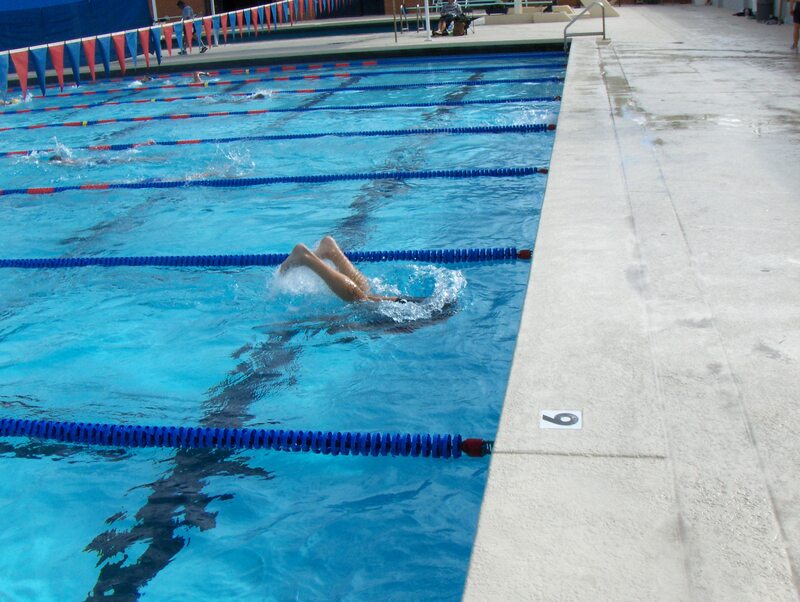 Go to any masters swim group and you’ll see the progression down the lanes. Where I used to swim there was the Olympian/National/Elite level lane. You had to have been one of the best in the world at one point to swim in this lane. They warmed up about as fast as I did intervals. Rather cruel really. Then you’ve got the college swimmer lanes. These will get sub divided between NCAA qualifiers/All Americans and regular college swimmers. Then you get the AG swimmer lanes and finally it progresses down to the triathlete lanes. Or if you were my former swim club, you just had a separate practice for them. I bring all this up because I went swimming yesterday. Swam once in the last four weeks previous to this. I still ripped off a 1650 short course yard set holding 1:20-:21 for the longer intervals and 1:15-:16 for the shorter intervals. There were the thoughts floating around in the back of my head that most triathletes if they took four weeks out of the water they would struggle for the next two months trying to get back into swim shape. Where many swimmers turned triathletes will take 2-3 months (or more in my case) out of the water and be in relatively good shape in two to three weeks. In some respects, former swimmers will always have a bigger ROI in their swimming because they’ve invested a larger % of the youth into swimming. For every yard they now swim, their triathlete buddies will have to swim 5 or 6 or more to make an equal leap in swim speed. Hence the saying: Once a fish, always a fish. Amen Brian. As an adult swimmer who took up swimming to do triathlons I couldn’t agree with you more. I am super slow as opposed to technicaly sufficient swimmers. At most events I am mop at best. With that said, I really enjoy swimming and I like the endorphin rush I get after a hard session. At this point fun is more important than trying to move up to fop. Ron, it’s cool that you took up swimming as an adult and LIKE it. You are rare. Dude, you get to swim with other swimmers? They always ask me to move to the kiddie pool if I am going to practice drowning.